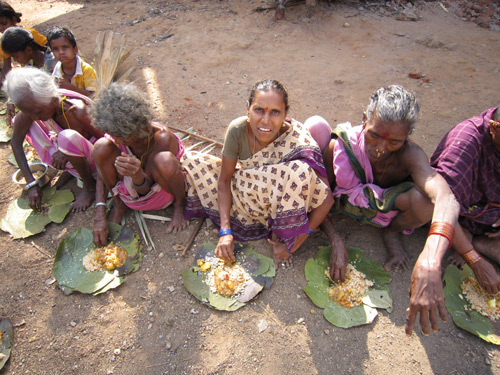 All of the hard work is being carried out by two full time ashram devotees. 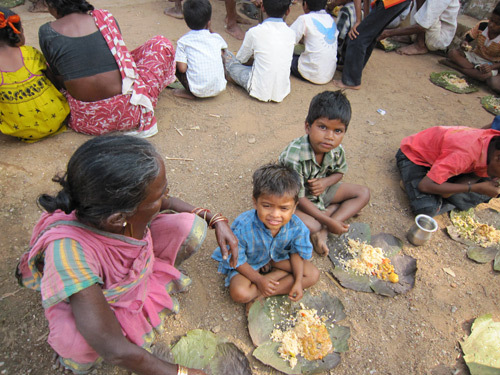 They say if we can get other volunteers, they are ready to feed up to 5,000 people every single day. 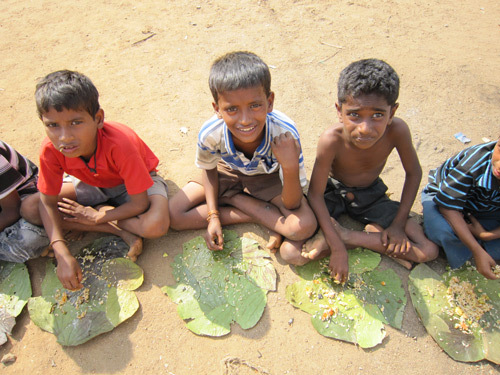 But at present, without additional help they can only manage what they have been doing. 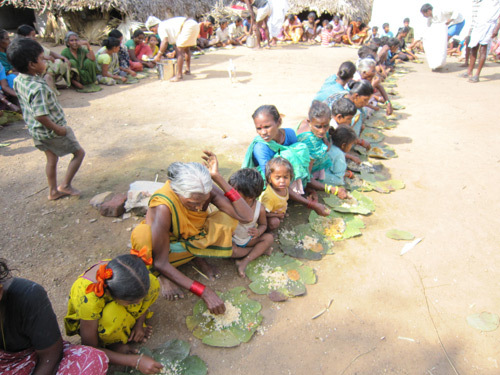 There is a lot of work involved, such as cooking, cleaning, and serving the food, which requires more than two people if we want to expand it further. 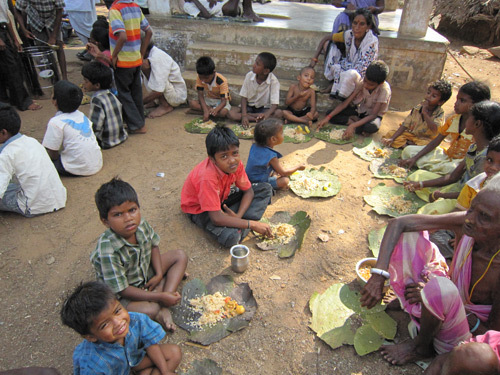 We request anyone living in the areas of Vizianagaram or Vishakapatnam to join us as a volunteer so that together we can increase this distribution. 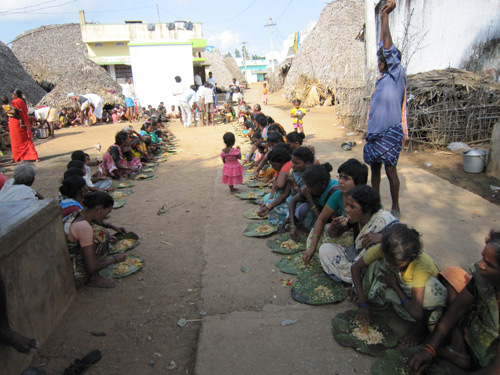 Below are some photographs of a recent food distribution program in the village of Koyyuru, in Vishakapatnam district. 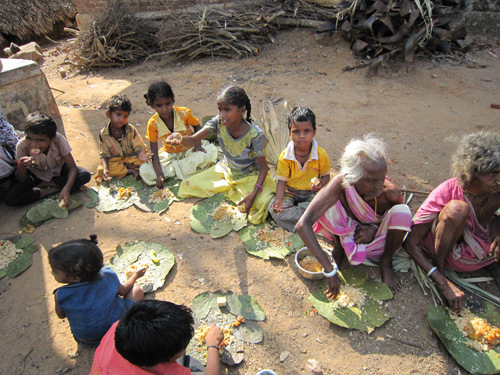 The devotees alternate between different villages and schools in the districts of Vizianagaram and Vishakapatnam. 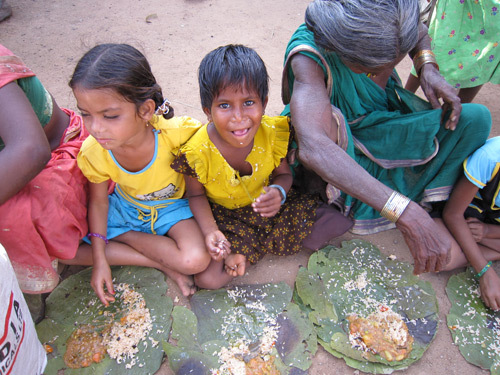 We focus primarily on feeding children, mothers and the elderly. 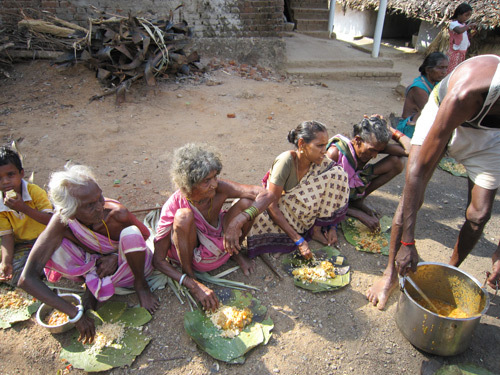 If you live near to Vizianagaram and would like to help as a volunteer involved in the cooking or distributing of food, please contact us. 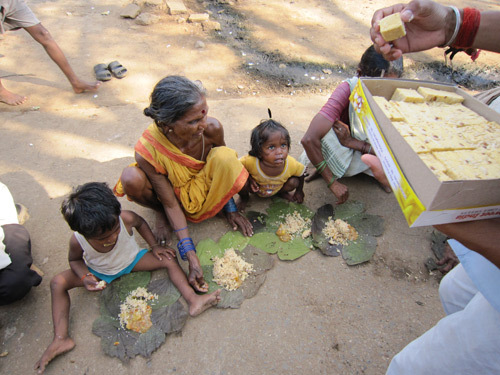 If there are more volunteers it will be easier for us to expand the relief activities and provide better services for the needy in these areas. 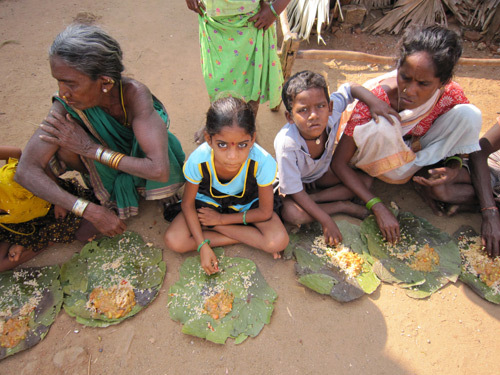 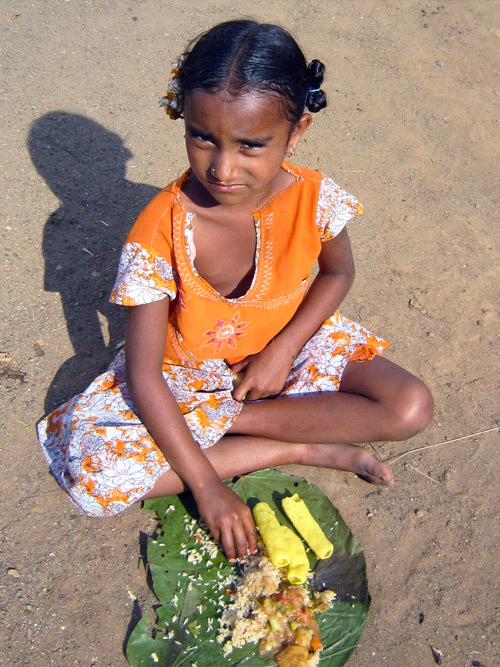 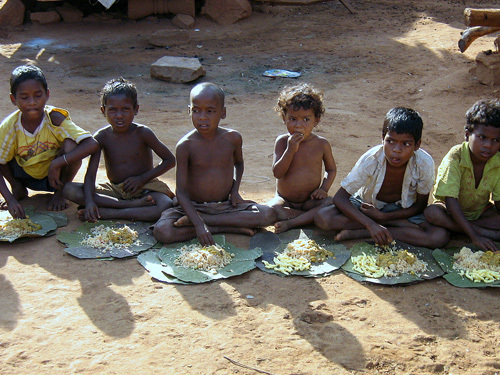 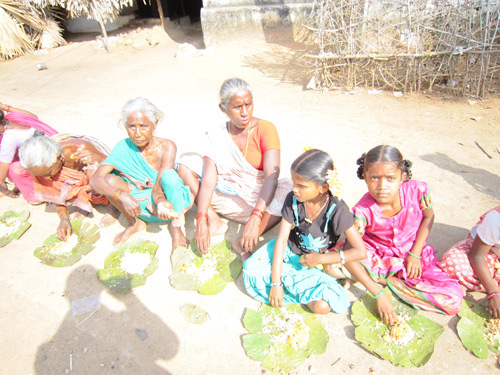 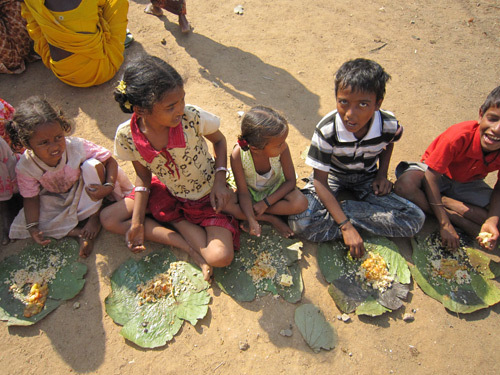 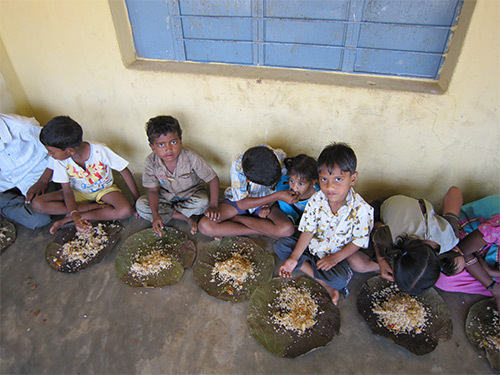 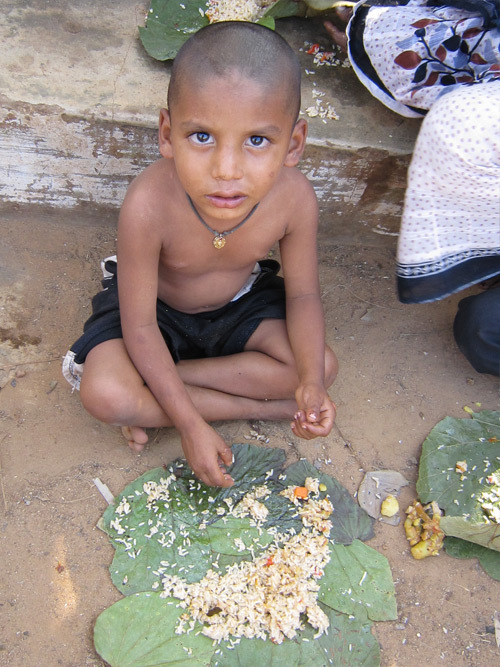 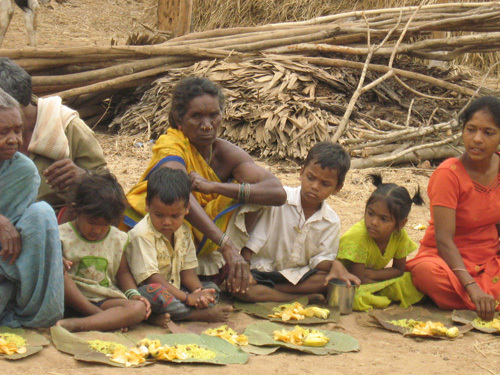 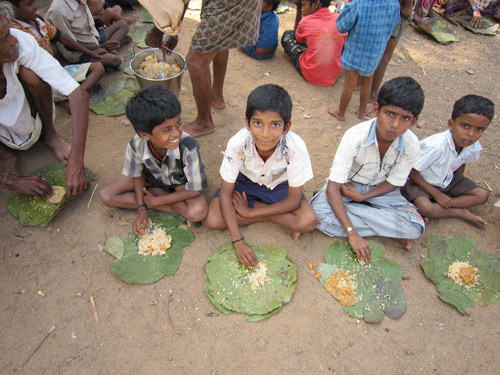 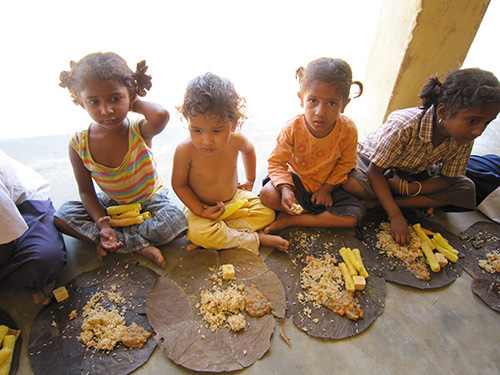 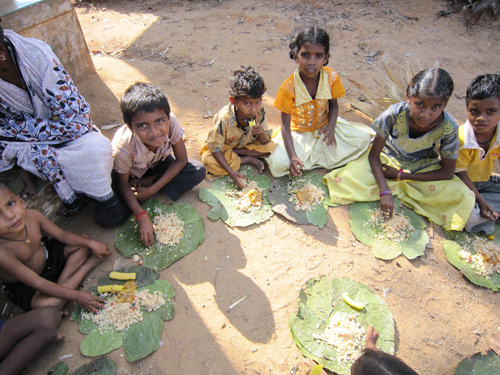 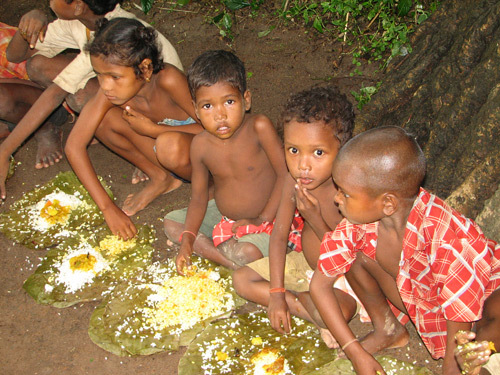 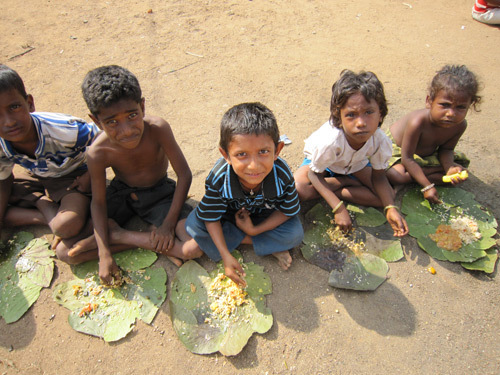 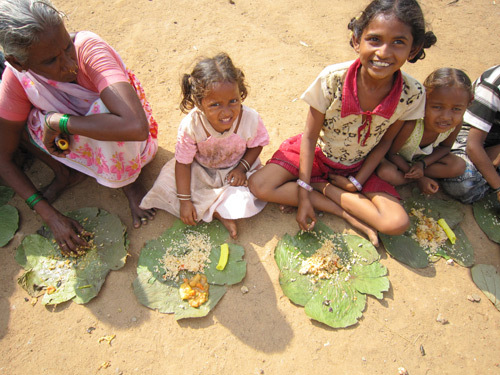 Our aim in these districts is to provide free spiritual food (prasadam) to the children and mothers of these villages to help alleviate nutritional deficiencies. 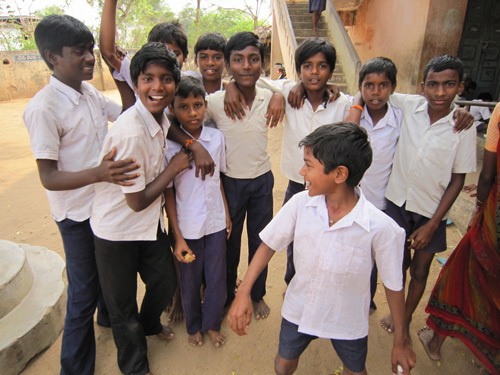 Simultaneously we also want to assist the villages by providing wells for drinking water, as well as helping needy children who lack the financial necessities for basic education.